In the program of the Japanese broadcasting station "World cat walking", OCHIAI, an animal photographer, can see how to catch cats all over the world at the height of the cat's eyes. If you watch this program, you know that cats are pretty anywhere, if it is a stray dog? Gentle contact will come to life. 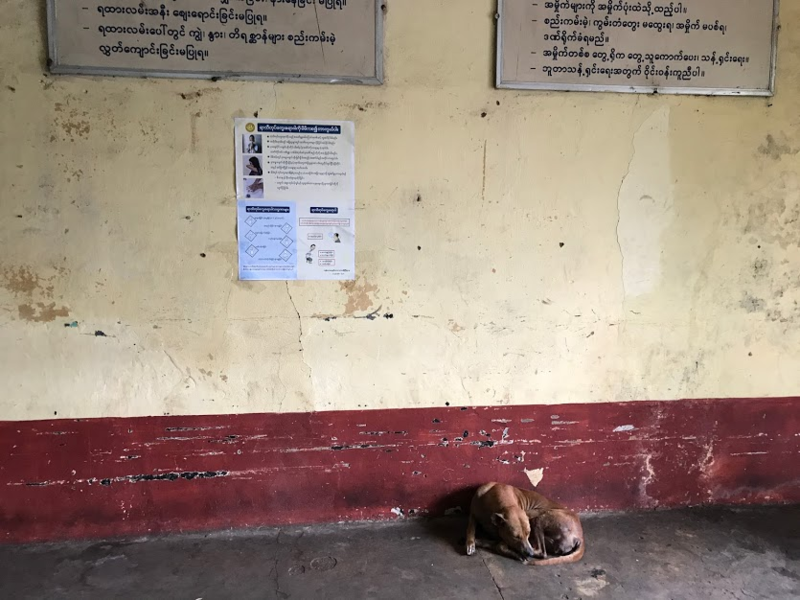 The risk of rabies still exists in Myanmar with many stray dogs still. During the eight months from January to August this year, 18 people were killed by rabies. This number is only for patients treated at the same hospital and it is expected that the number will increase even if the total number of hospitals nationwide is added. 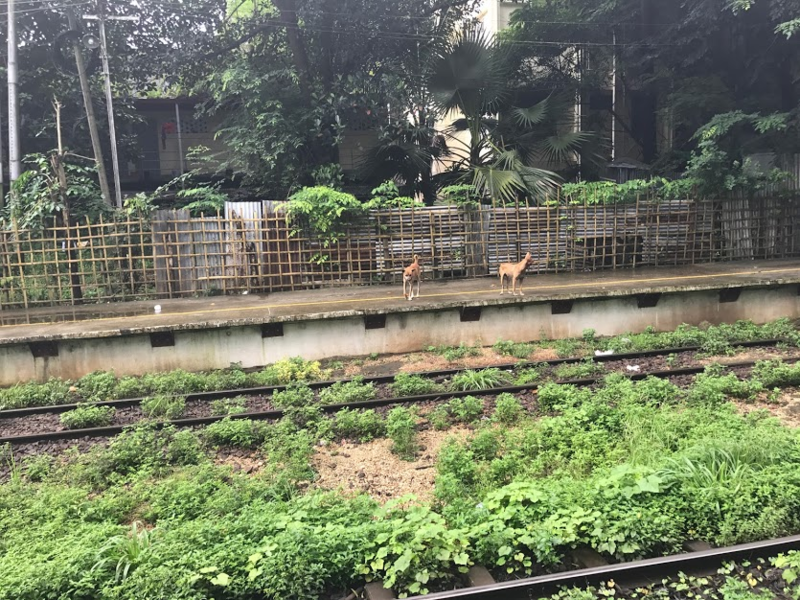 So, contact with stray dogs for travelers is quite a risky act. Although it seems that infection has not been confirmed in Japan since 1957, in developing countries mainly in Southeast Asia, as mentioned above, there are dozens of deaths each year. Rather, there seems to be fewer areas in the world that have eradicated. Generally, it seems that latency from infection to onset is 1 to 2 months. A specific symptom is a terrible disease that begins with fever and headache, and leads to death by confusion, hallucination, aggression, afraud attack, and finally breathing stop. Once it develops, the mortality rate is almost 100%. Also introduce photos of stray dogs taken by me. The shooting location is the station's home. I sleep under the timetable. This is taken early in the morning. Is it the appearance scene of Shishi God? A very fantastic one. Anyway, the stray dogs are taking a nap everywhere and live everyday with the food from humans being spoken. Regarding this point, an interesting explanation was given on the website "Overseas ZINE". Why do the Myanmar people like to feed animals so far? In Theravada Buddhism where nearly 90% of the Myanmar people religiously believe, it is preaching that the living will be decided by the amount of merit that each believer has carried in this world. Culture can be donated to monasteries and pagodas (pagodas), donations of food to monk of monks, etc. However, we can also accumulate by helping the weak. That is why I am encouraged to feed the animals that are weaker than men. Well, I am convinced somewhat. Nonetheless, the national level measures against rabies, even though they think about it, will become necessary in the future. There may be something you can cooperate with in Japan that succeeded in eradicating rabies. When overseas, especially dogs, cats and wild animals suspected of rabies in Southeast Asia are caught or scratched, first rinse the wound with soap and water and consult a medical institution. Rabies vaccine and anti-rabies gamma globulin are administered. So, quick response to onset is most important. Also, please be sure to check the official website of the Ministry of Foreign Affairs that similar actions are required.